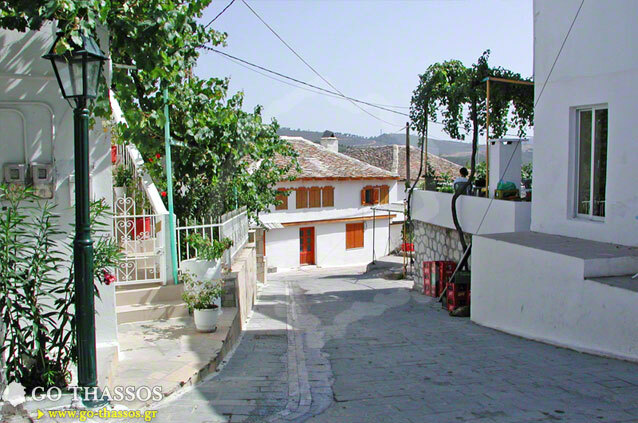 Theologos, which means 'the Theologian' or 'the word of God,' is one of the most renowned villages of Thassos, attracting visitors from far and near, both because of its long history, and because of its spectacular location and the natural beauty of the area in which it’s built. 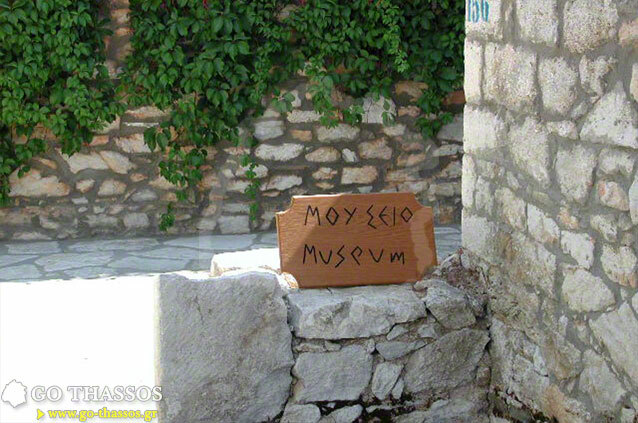 In the distant past, the mountain villages of Thassos were established, developed and existed independently of one another since communication between them was almost impossible. Due to the lack of any organized road network or any other infrastructure, it took days to travel from one village to another, either by mule or on foot along footpaths, mountain trails and often goat tracks. 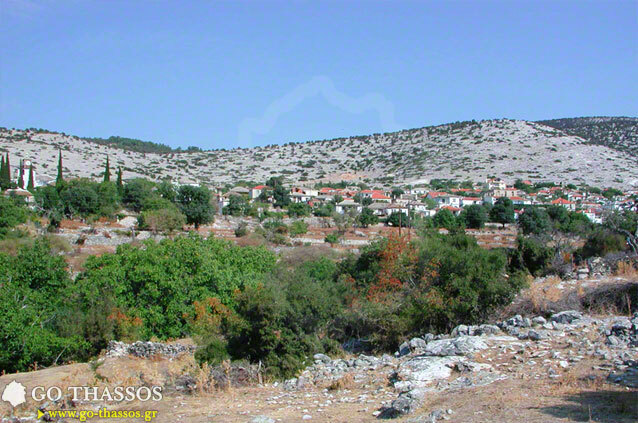 The very first written testimony known to exist, regarding the village of Theologos, was set down in the year 1287. 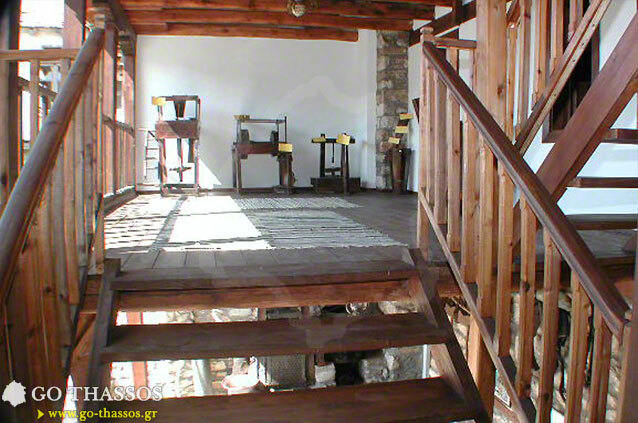 The testimony, made by Byzantine Emperor Andronikos II Palaiologos, mentioned that the Monastery of Philotheou on Mount Athos had a dependency located where the village stands today. 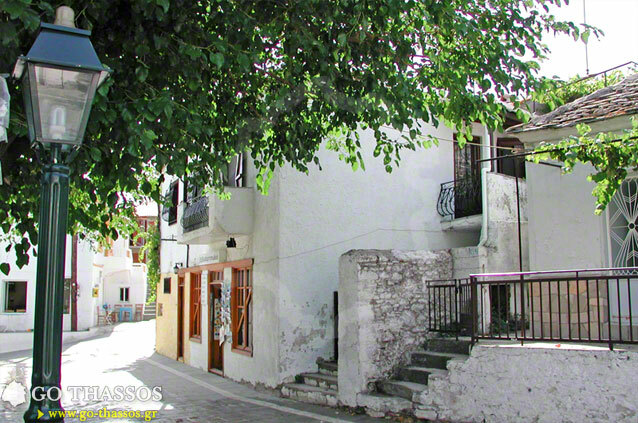 The dependency was named John the Theologian, which is the apparent origin of the village's name, and which later became the administrative capital of Thassos and remained so up until the Ottoman era. Ottoman Turks settled in Theologos between 1479 and 1538. From then it began to evolve into a large village with two settlements "Upper and Lower Town', with two parishes and two schools. The residents maintained their very close connections with the coastal settlements of Potos and Astris where they owned land. On March 30, 1813 the area was granted to governor Mehmet Ali Pasha of Egypt, who loved the island of Thassos thanks to his life-long connections with the island. Theologos underwent rapid development during this time period and because it had been gifted to Ali Pasha, it retained its relative autonomy and was governed by a local leader, a kind of prime minister - Bass Tsorbatzis, Chatzistamati, Hatzigeorgio and Hatzigiannis amongst the greatest of them. The chieftain, Hatzigeorgio, became an emblematic figure for the village by declaring a revolution and repelling the Turkish warships from Psara. However, the area's final release from foreign rule back to the Greeks came only on October 18, 1912 after many years of bloody struggles. 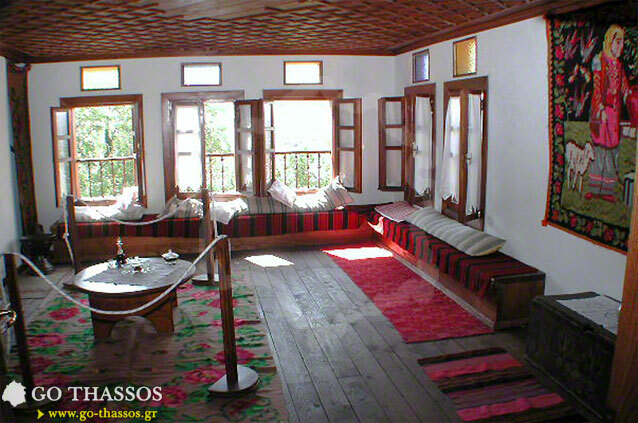 In modern history, Theologos was declared the cultural capital of Thassos in 1979 on account of its remaining as a traditional settlement. 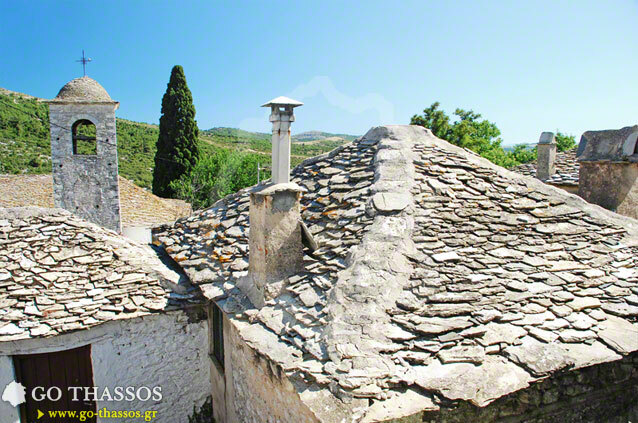 Visitors can tour the village by walking along the paved main road which runs through the village, visit the folklore museum with its many important exhibits of folk clothing, tools and architecture, and visit the home of prolific author Vassilis Vassilikos Thasitis. At every step, the visitor feels the incredible influence of centuries of history, which the present village resiliently endured and of which reminders can be found at every corner. 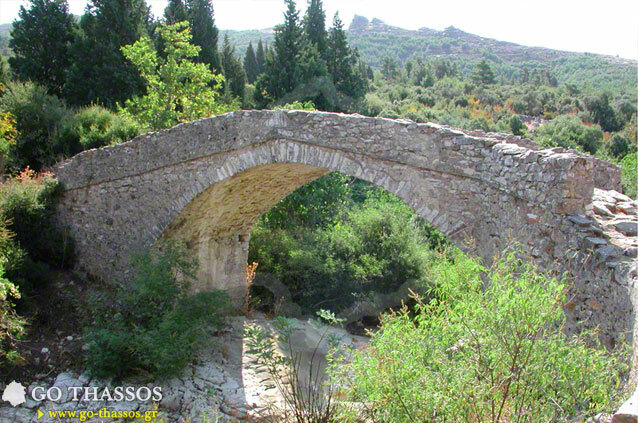 For example, the arched bridge - in the style of continental European architecture - just outside the village, and the churches of Agia Paraskevi and Agios Dimitrios (built in 1803 AD) with their impressive and elaborately carved iconostasis. Similar carvings can be seen in the small chapels of Panagouda and Archangelos. This unique Byzantine style dominates the area dating back to 1430 AD and is unique to Eastern Macedonia and Thrace, the region in which Thassos is located. 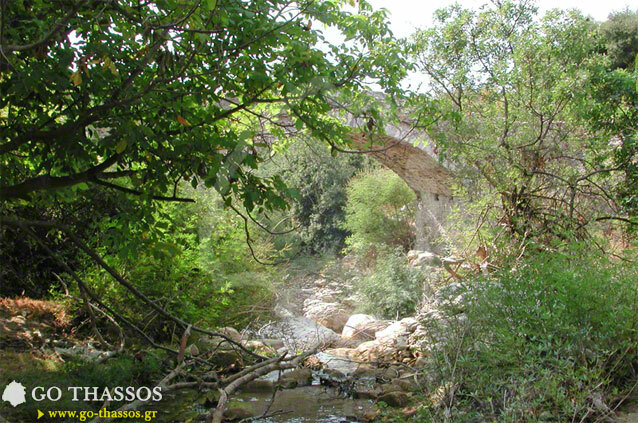 The nearby waterfalls of 'Kefalogournas' and the old limestone ovens take one back to the olden days, when the local people found that nature and local resources provided for most of their everyday needs. In Summer, many tourists flood the village to sample its many unique charms. The Thassian wedding is a representation of a traditional marriage. It attracts many, many locals and tourists to this lively celebration, which is renowned throughout the region for its authenticity. In the tavernas all around the village, one can enjoy unique traditional, local products, with the honey of Thassos and traditional sweets and pasties, typical wedding fare, and snack to one’s heart’s content. 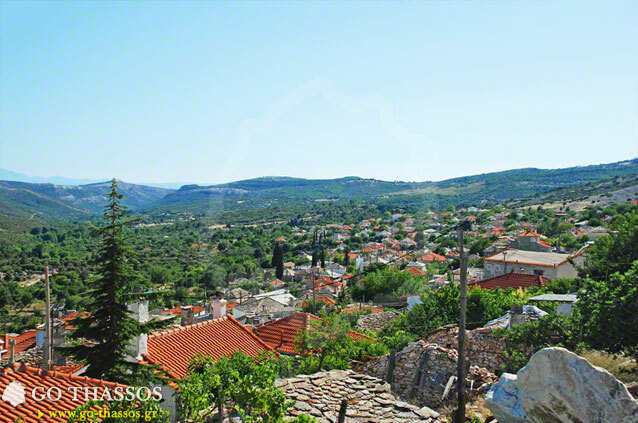 Other culinary delights to feast on include the delicious spit roast lamb – a mouth-watering local speciality that every taverna here offers and we whole heartily recommend.